I have listed a great freebie for St. Patrick's Day! 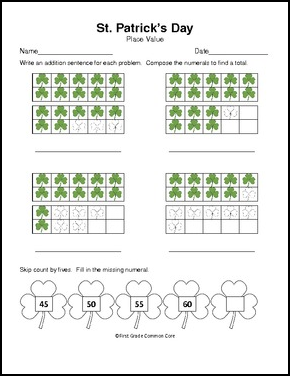 These worksheets are aligned with common core place value standards and can be used as morning work, independent practice or even as exit slips! I hope you enjoy my freebie and I would welcome feedback on this item! A special thank you as always to mycutegraphics.com!